The Pink Paradise Striptease Bar is a chic and well-known place where the best alcohols and champagnes are available. Come spend an unique moment in a cosy place around a glass of wine or champagne. The Pink Paradise Striptease Bar is this cosy and sophisticate place where you can drink some of the best champagnes while enjoying the most glamourous striptease show in Paris. Have a drink at the bar or sit around a bottle in the VIP area and discover the best of parisian lifestyle. 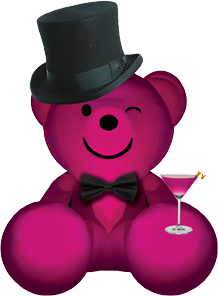 Come spend a magical night at the Pink Paradise and enjoy our selection of alcohols, fruits juices and cocktails. Organise your Stag Party / Bachelor Party at the Pink Paradise and come spend a night you’ll never forget ! All our staff will be dedicated to help you having the best stag party ever. Ready to come to Paradise ? The Pink Paradise Club in Paris is the place to enjoy a night out full of glamour and sensuality… For Group Parties, Team Building or Company Events we have a special offer you might want to discover !